COLOMBO, SRI LANKA, March 7, 2016 /EINPresswire.com/ — Sri Lankan Foreign Minister Mangala Samaraweera, speaking at the United States Institute of Peace on Feb. 26, 2016, promised that his government has “committed to have a judicial process with international participation” to deal with war crimes committed during and after the war that ended in 2009. When Mr. Samaraweera was confronted with Sri Lankan President Sirisena’s statement to BBC Sinhala that no international involvement would be allowed in any accountability mechanism, Mr. Samaraweera responded that, “The President, as he has mentioned several times in public, has expressed his own opinion.” President Sirisena’s comment, aimed at the Sinhala constituency, and Mr. Samaraweera’s comment aimed at the foreign states are all part of a coordinated responses, with Mr. Samaraweera’s comment meant to deflect any pressure from foreign states. It is also aimed at blunting the lobbying efforts by International NGOs and the Tamil Diaspora urging foreign states to put pressure on Sri Lanka to implement UNHRC Resolution 30/1. FM Samaraweera stated that they would set up special courts within the coming six months. On December 1, 2015, Former President Chandrika Kumaratunga, who heads the Office of National Unity and Reconciliation, said that a special court will begin work by January 2016. Thus far nothing has happened. The Sri Lankan state is busy laying the foundation for the next tactic of requesting more time at the 2017 March UNHRC Session, when it is required to submit a written report on compliance with Resolution 30/1. Minister Samaraweera did not touch on the question of “international participation” at all in his speech. When he was asked about it he was prepared to recite in very casual terms that all possibilities from judges and prosecutors to forensic experts and investigators would be considered when the consultation process was completed a year from now. 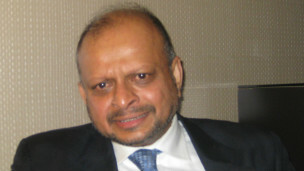 The Sept. 2016 Office of the High Commissioner’s Report on Sri Lanka (OISL) which explicitly stated that the domestic judiciary is not capable of delivering justice to the victims, and that the spirit of the Resolution 30/1 require that foreign judges should participate in a judicial capacity and not as mere observers. The fact that the Sri Lankan state is not ethnically neutral, coupled with the fact that the Sri Lankan state itself is accused of committing international crimes – namely genocide, crimes against humanity, and war crimes – require that foreign judges participate in a substantial capacity. Resolution 30/1 also requires action on other important areas of transitional justice, including: (1) consultations with victims and other stakeholders to inform the design of justice mechanisms, (2) implementing a full range of judicial and non-judicial mechanisms of transitional justice, notably a Commission for Truth, Justice, Reconciliation, and Non Recurrence, an Office of Missing Persons, and an Office for Reparations, (3) the trial and punishment of those most responsible for the full range of crimes under the general principles of law recognized by the community of nations, (4) security sector reforms and an end to security sector human rights abuses, notably sexual violence and torture, (5) strengthened witness protection laws, (5) acceleration of the return of land taken during and after the war, (6) developing mechanisms for the preservation of evidence, and (7) devolving political power as a means to a political settlement. There has been no progress in all these areas over the past six months, notwithstanding the many commitments made. Words are simple, while action is what actually will determine the stability of the island. Mr. Samaraweera, who appears to be committed to the accountability process in his speeches, was completely silent on the recent appointment of Gen. Sarath Forseka as a Member of Parliament and as a Minister in the current government. As the Monitoring and Accountability Panel (MAP) in a Feb. 11 press release points out that, “Field Marshall Fonseca was the Commander of the Sri Lankan army in May 2009 and was in that capacity responsible for the action of troops who are widely believed to have carried out war crimes and crimes against humanity.” MAP further said that “no less significant is the timing of this appointment. Made as it was during the visit of the UN High Commissioner for Human Rights to Sri Lanka, it is an affront not only to the victims but also to the United Nations and the International Community.” FM Samaraweera’s USIP’s speech was just as flowery and full of promises as the one he made at the 30th UNHRC Session in September 2015. The world will soon be exhausted by the Foreign Minister’s empty promises and colourfully articulated good intentions all phrased in the language he wants his Western listeners to hear. Sri Lanka’s poor history in implementing promises, coupled with their inaction and even back-tracking on UN Resolution 30/1 for which the Sri Lankan state itself was a co-sponsor, make Mr. Samaraweera’s speech last week no more than a self serving piece of cajolery and eyewash.